In this absolutely brilliant analysis of the free trade ideology, Naomi Klein explains how free trade came into being starting with Milton Friedman’s Chicago School of Economics going all the way to the privatization of Iraq. I personally think, after reading this book, that Milton Friedman has created more damage to the world, killed (although not directly) more people in the world than Hitler ever did. And I mean that a 100%. What is the shock doctrine? It is using disasters and crises in a country in order to force radical privatization of every sectors of a country’s economy. The result is increased poverty due to massive layoffs following extensive deregulation which profit only a minority (the rich business one of course). The governments are forced to submit to the World Trade Organization and its US sponsored cronies. It therefore enriches a minority and impoverishes the majority. Naomi Klein also goes into excellent detail about American imperialism and how it is directly linked to American corporations’ desire to dominate markets in other countries, even when they are not wanted. Is it any wonder that McDonald’s is all over the planet and represses local activists with big weapons? If a country rejects an American Corporation, it usually is put in serious troubles by American interests. The World Bank or the American military will probably get into action sooner or later. The scariest part of it all is the willingness of the NeoCons (or NeoLiberals as they are called in Europe) to destroy substantial social and governmental infrastructures in order to promote their agenda of free trade ideology. From Chile to Russia and from Sri Lanka to China, there is an, apparently, unstoppable weaponry of supposed experts (lead by their mentor Freedman) destroying economies in country after country. 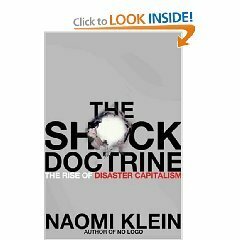 After feeling seriously depressed by everything Naomi Klein brilliantly is exposing, fortunately there was the final chapter. She goes into an overall expose of some of the grassroots movements against globalization in the world. Hope is definitely there and we shouldn’t be feeling oppressed in the view of the remarkable work a lot of people are doing in many places. The free trade ideology, just like any tyranny, will just die off once it has expired its supposed usefulness and people really reclaim their local economies. There is a growing movement towards this end. 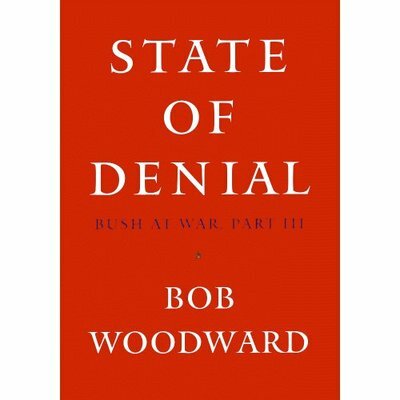 The Shock Doctrine, I have no doubt, is one of the best books I have read in years. It should be required reading for anyone interested in the current social inequalities of the world. The answers are all there. Simply brilliant!